We all know that Instagram lets you upload videos only from your mobile app. This has been a major put off for many influencers and creators who have their professional video creation work-flow set up outside their mobile app and reasonably so since there is a limit to the magic you can create on a video editing mobile app. However, of late many professional creators have built their Instagram video creation strategy outside their smartphone only to upload the final video using the app. How to go about creating Instagram videos like a PRO? This is a subject that we wanted to cover in a blog post and we decided not to do it, thanks to Trevor Holmes from Wistia. Trevor has beautifully covered all the nuances of professional video creation for Instagram – production and post-production. Though his video blog covers how to create Instagram stories, the same set of rules can be applied for the usual Instagram videos (60 seconds). However, square doesn’t cut it for Instagram stories. Stories have to follow the 9:16 aspect ratio, popularly called vertical video. Typito lets you create a vertical video by cropping the sides off a widescreen video. However, what you might find more exciting are the Mobile Letterbox and Mobile Letterbox Top options that give you enough space to add text on your video on a colour-customisable letterbox area. Next time you create an Instagram story, do check out these frame options on Typito. Speed up video – Instagram has duration limitations for video uploads – 60 seconds for normal video and 15 seconds for stories. It’s not always easy to ensure your professional shot videos subscribe to these limitations. That’s where the video speed up feature and other general editing capabilities help you keep the video duration under check. Speed up your video to keep it short! Text on Video – It goes without saying that beautiful looking text gives you an opportunity to amplify your video’s messaging in a big way. So plan your videos carefully to add all the important text and graphic elements – your logo, intro, social media handles, tips, instructions – they all make your video more valuable. This is how easy is it to add a After Effects grade intro template on Typito! You can also use the music option on Typito that lets you add stock music fast and easy. You can also upload images and videos on your video’s timeline, edit them as per your liking. 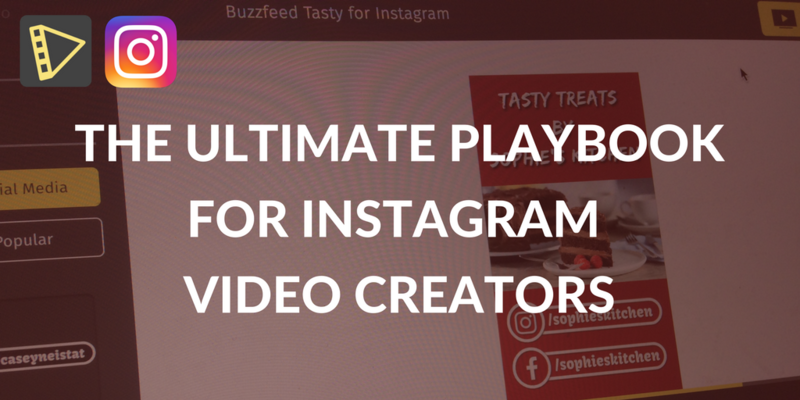 Hope this quick playbook for Instagram Pro video creators turned out to be helpful. Please share your thoughts on other features that you think are relevant for creating videos on Instagram.